Mallard (Anas platyrhynchos). Male. Taken at Oxford, Oxon., on February 18th 2015. Male. Taken at Oxford, Oxon., on February 18th 2015. Mallard (Anas platyrhynchos). Female. Taken at Farmoor, Oxon., on April 27th 2014. Female. Taken at Farmoor, Oxon., on April 27th 2014. 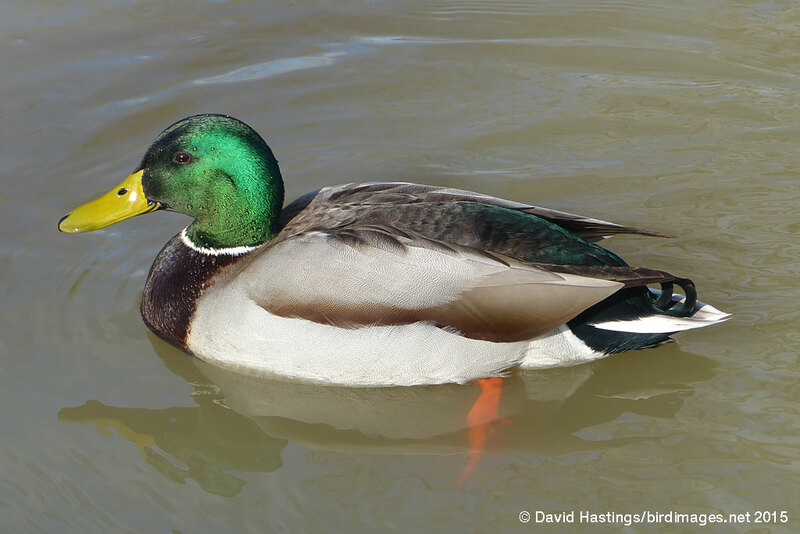 The Mallard is a very common species in the UK and Europe. The male's breeding plumage, with its metallic green head and blue speculum, is distinctive. Adult females are mostly brown; the blue speculum is diagnostic. It is found throughout the UK, although it is scarcer in upland areas. It will breed on more or less any sort of body of water, and can use a variery of nest sites. 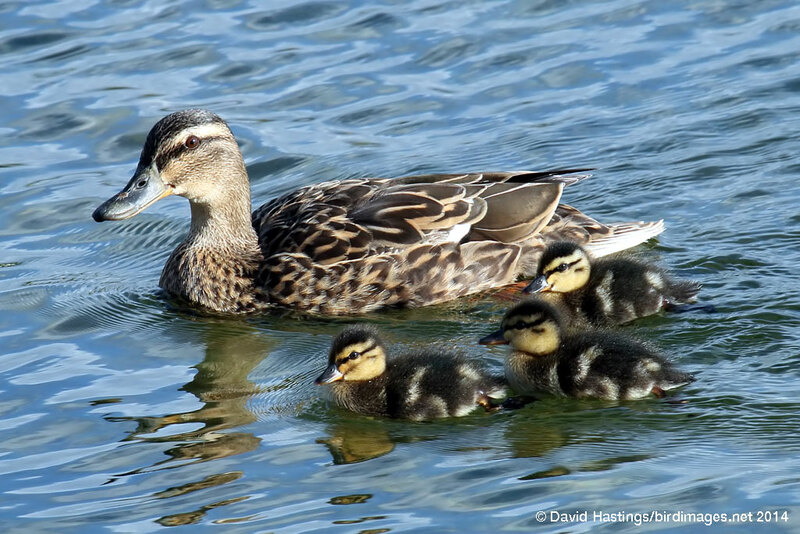 Many Mallards that breed in Iceland and northern Europe are winter visitors to the UK. The UK breeding population is between 60000 and 146000 pairs. It has amber status on the UK list.